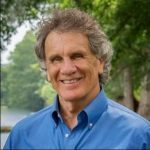 Author and journalist Bryan Mealer joins us this week. 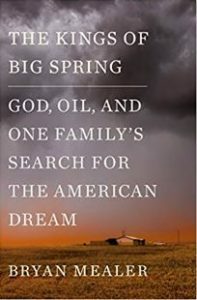 His latest book is The Kings of Big Spring: God, Oil, and One Family’s Search for the American Dream (Flatiron Books, February 6, 2018). We invite you to check out our past episodes below. You can download the audios directly from each page, and our podcast download is available on the Podcast ap and iTunes. For show updates, be sure and follow us on Facebook and Twitter. Bryan Mealer is the author of The Kings of Big Spring (Flatiron Books, February 6, 2018), Muck City (Three Rivers Press, 2013) and the New York Times bestseller The Boy Who Harnessed the Wind (William Morrow; Reprint edition 2010) – written with William Kamkwamba. – which has been translated into more than a dozen languages and will soon be released as a major motion picture. He’s also the author of All Things Must Fight to Live (Bloomsbury USA, 2007), which chronicled his years covering the war in the Democratic Republic of Congo for the Associated Press and Harper’s. His other work has appeared in Texas Monthly, Esquire, the Guardian, and the New York Times. 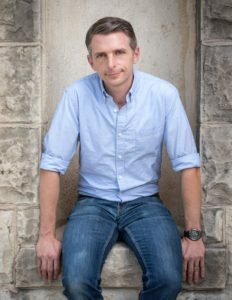 Bryan Mealer earned a journalism degree from the University of Texas. He and his family live in Austin. For more information, please see the author’s website. You can keep up with him on Twitter and Facebook. Grady Cunningham, Bobby’s friend, is one of the newly-minted kings of Big Spring. Loud and flamboyant, with a penchant for floor-length fur coats, Grady pulls Bobby and his young wife into his glamorous orbit. While drilling wells for Grady’s oil company, they fly around on private jets and embrace the honky-tonk high life of Texas oilmen. But beneath the Rolexes and Rolls Royce cars is a reality as dark as the crude itself. As Bobby soon discovers, his return to Big Spring is a backslider’s journey into a spiritual wilderness, and one that could cost him his life.